WED 16 JAN 2019 06:39 PM. 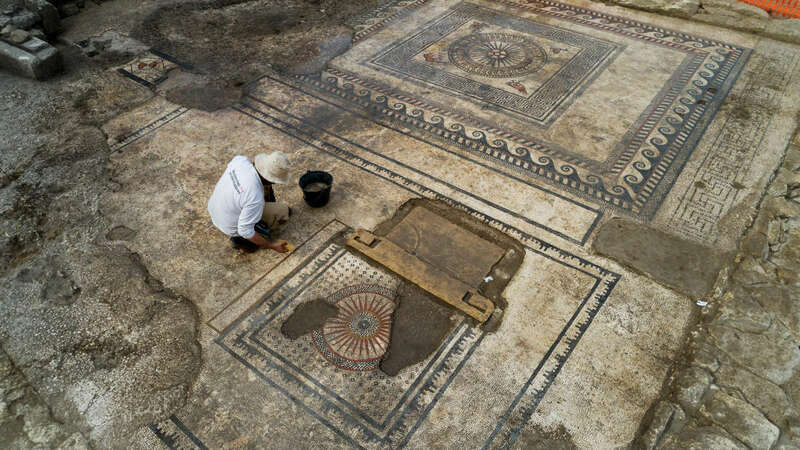 One of the most impressive finds was a mosaic floor, dating back second half of the 1st century B.C., discovered in the ruins of what’s thought to be a Roman public building. Hidden for centuries, mosaic floors from the lost Roman city of Ucetia have been discovered in France. 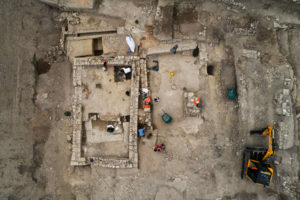 A large excavation is underway in the town of Uzes in southern France to unearth more of the remain’s of this ancient Roman settlement, the existence of which archaeologist had only hints of until the dig. The nearby city of Nimes is more famous for its Roman history, largely thanks to the A.D. 70 amphitheater, where events, including bullfights, still take place. Less is known about Uzes, once called Ucetia. But before the construction of dormitories for a high school there, archaeologist were brought in to investigate a 43000 square-foot (4,000 square meters) area for pieces of the city’s history. 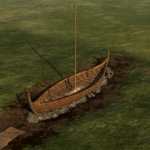 The French National Institute for Preventive Archaeological Research (INRAP) announced that the dig has so far been very fruitful. Some of the wall’s and structures that were uncovered date to just before the Roman conquest of present day France (called Gaul at the time). 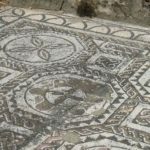 But the most visually stunning find’s are the well preserved Roman era mosaic floors with richly colored patterns and figures. 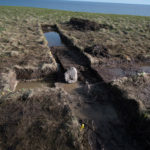 The archaeologist’s discovered one large structure, 2,700 square feet (250 square meters) in area, with a colonnade that suggest’s it was a public building, and four rooms in a row. 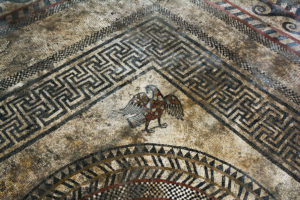 One of those large rooms contains a complex mosaic pavement with geometric pattern’s like meanders and swastikas, as well as symbols like crown’s and chevrons, and animals like an owl, duck, eagle and fawn. The archaeologist think this building dates to the first century B.C. and was maintained until the first century A.D. 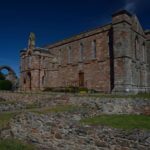 In another area at the site, the archaeologist unearthed a”domus,” or a large house belonging to a wealthy Roman family. This building sprawls over 5380 square feet (500 square meters) and dates to the early Roman Empire (1stcentury B.C.). A room in this family home has a mosaic floors with a geometric pattern, accompanied by stylized dolphins in the four corners. The home also had a type of central heating system; archaeologist’s found a “hypocaust,” or a crawl space supported by brick columns where hot air would have circulated. And several “dolia,” or huge ceramic wine vessel’s, were found there, suggesting the inhabitants might have drunk homemade wines. 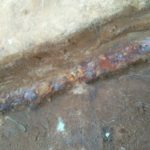 The 1.5 million euro ($1.6 million) dig is ongoing, and, according to INRAP, the archaeologist’s have recently begun excavating another large area of ancient and medieval ruins, including two roads and an intersection.